Woodworking can be fun, with a little bit of skill and some good plans. Whether we like to enjoy the garden for a sunny afternoon playing games with the children, an evening braai with friends or just for a short break of relaxation out in the sunshine and fresh air, it's important that this space feels private and secure as well as an area that you have completely to yourself or your friends and family. 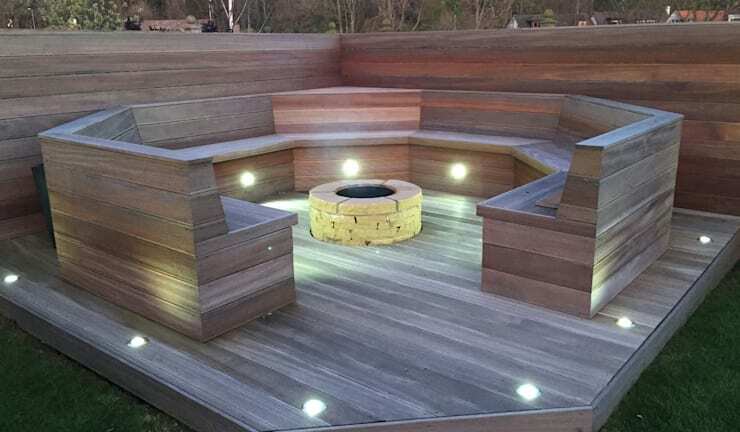 In order to create a feel-good, personal and private atmosphere in the garden, there are a variety of options available to you. 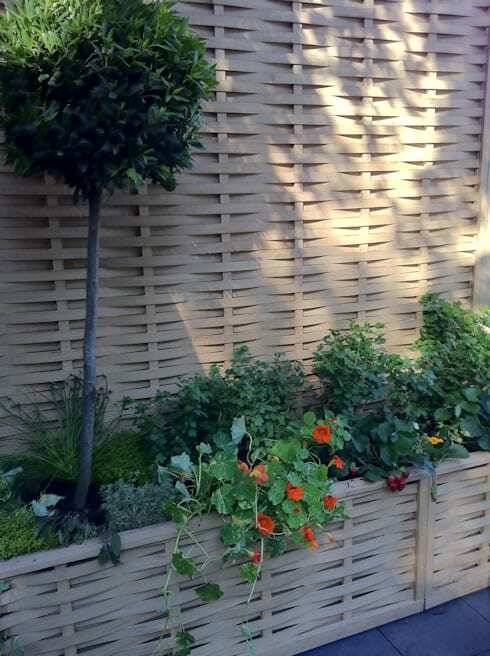 You can go for the classic wooden fence or a wall with a magnificent vertical garden. 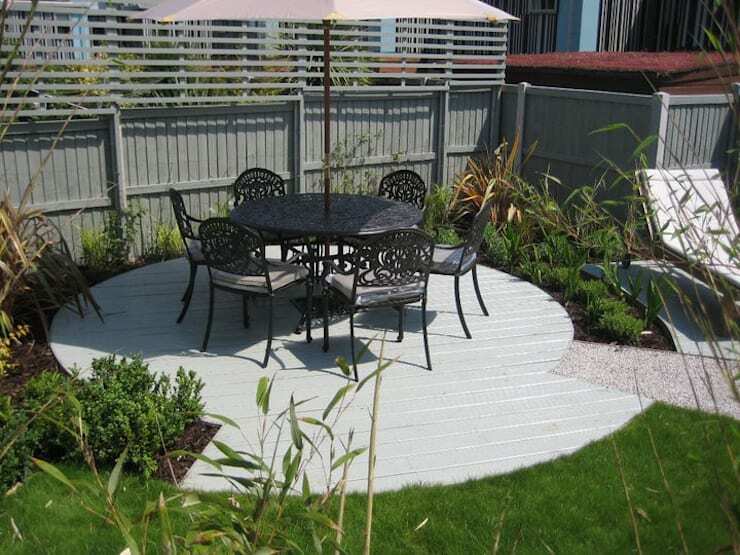 Creating privacy is functional, but it can enhance your garden aesthetically too! 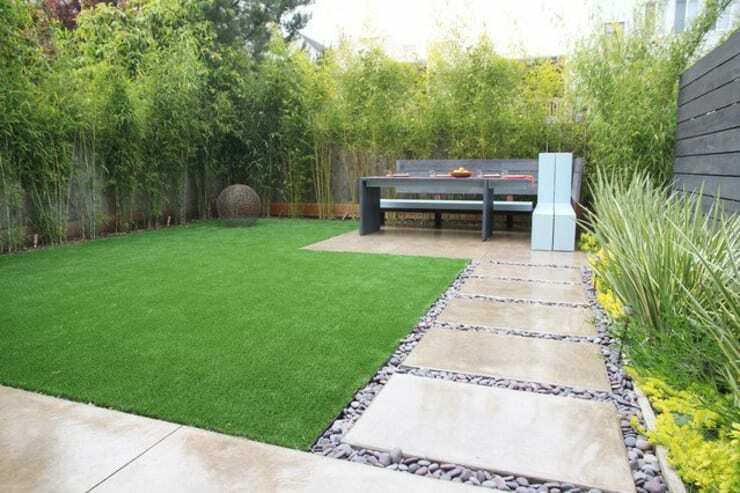 To prove it to you, we've put together 17 stylish ideas from architects and landscapers, which all provide a garden with utmost privacy. They also make the outdoor area very cosy and beautiful! 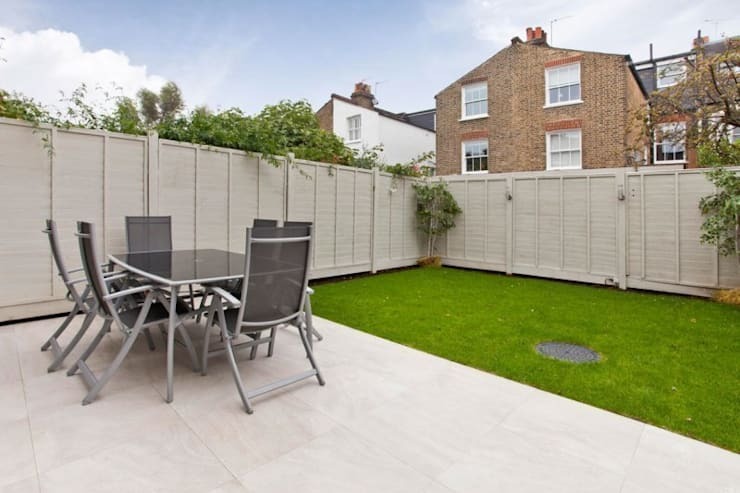 Already our first example shows just how visually appealing a garden fence or wall can be! 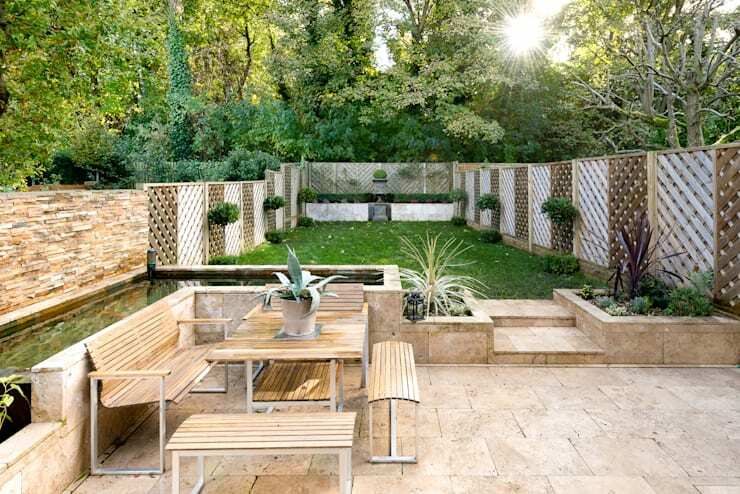 This one combines a bamboo fence with a modern lattice construction, which has been filled with gorgeous grey stones. The fence works in harmony with the green plants, making for a rustic yet modern design. The best part? No one can see into the garden? Bamboo is one of the most popular materials for a stable and long lasting structure in the garden. And you can choose any type of material to be positioned between it. 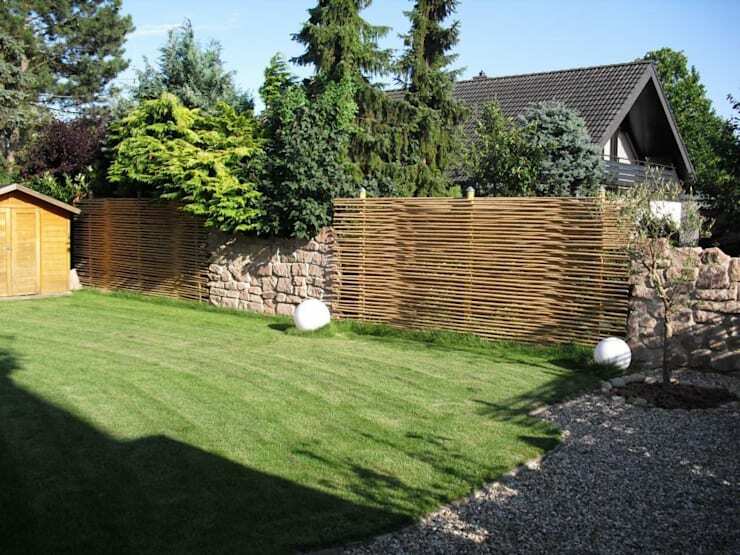 This example features a 6 metre bamboo fence with a stone wall in between. This combination of raw materials is very beautiful. As soon as you've integrated a fence or wall into the garden, add some plants for a natural yet cosy atmosphere. If you are looking for a cheap way to build your own fence or a wall, opt for wood. It's durable and looks beautiful too! It's also cost effective! You can choose from a variety of wood too, including oak, poplar or pine. Here we see another example of a wonderful visor made of bamboo. Even small areas like this terrace can be transformed into a comfortable oasis with sufficient privacy. For anyone who already owns a classic wooden fence, but wants to beautify it, a fresh coat of paint is the perfect solution. Whether you won't to go for a more noble white colour or a more vibrant tone, the effect will surprise you. Another solution for those looking for ways to improve their garden privacy in a cost-effective way is to find wooden boards for a small budget from a hardware store. 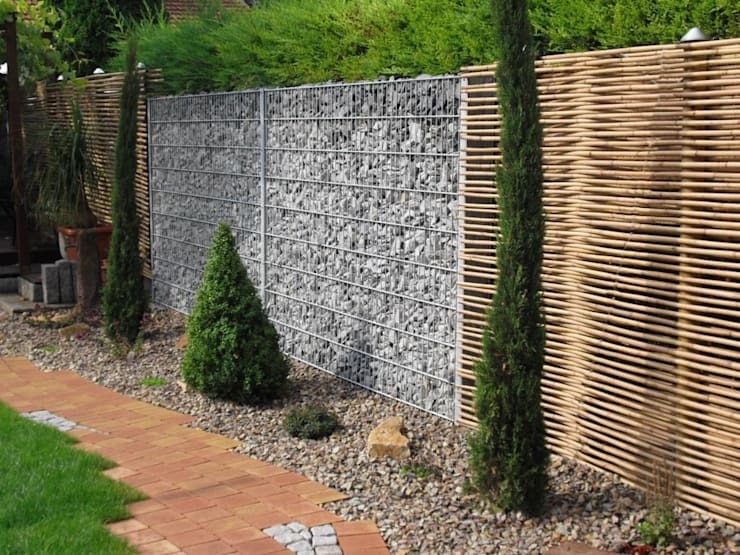 These can be assembled as a wooden panel, resulting in a stylish yet subtle fence. As we've mentioned before, plants and flowers can really enhance the garden fence. 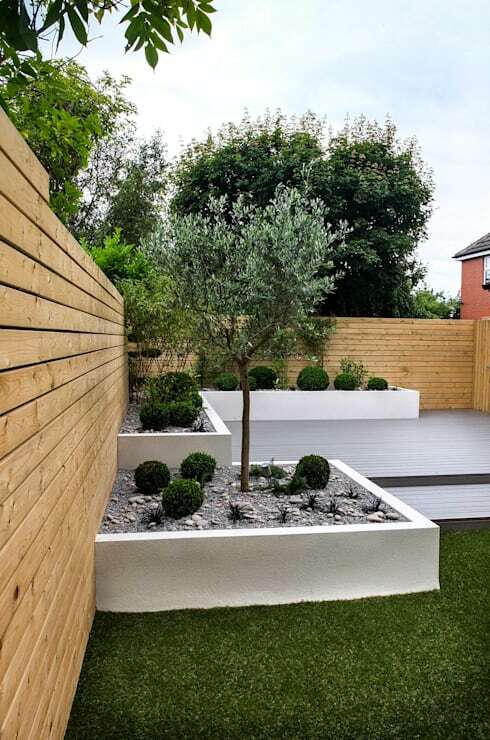 Go a step further by adding a flower bed or some trees, decorating your fence in a very natural way. A fence or wall made of wood is particularly beautiful when combined with furniture from the same material. Whether you opt for large seating around the braai area or a cozy lounge corner, these spaces are also perfect for enjoying a balmy summer evening. A fence does not only work for visual protection. 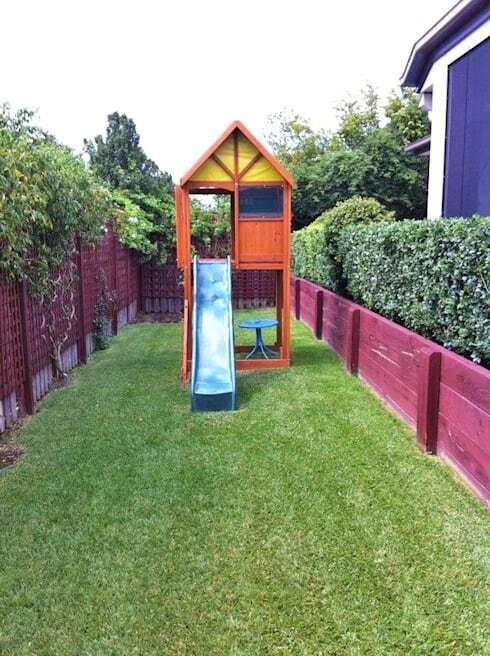 It's also an excellent way to distinguish between different areas of the garden. 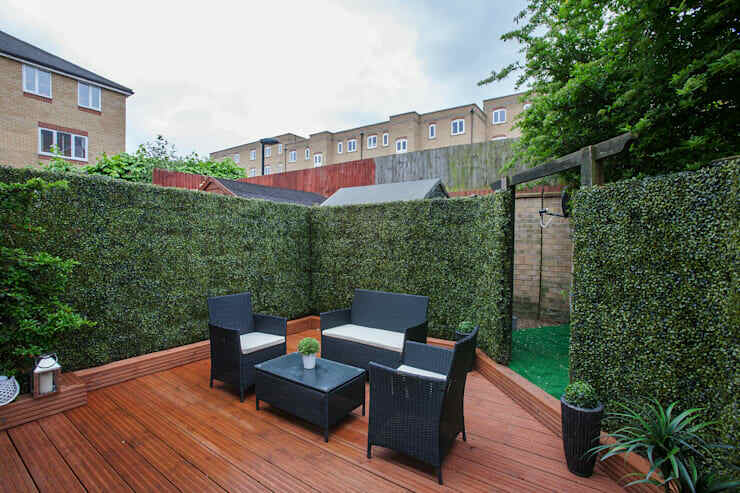 Why just opt for a wall or a fence made of wood when you can transform a whole area in the garden into a cosy and refreshing oasis? 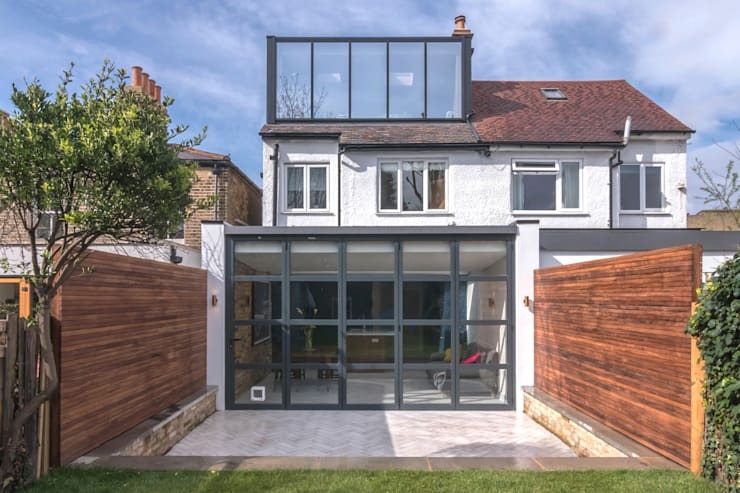 In this example, we come across a stylish brick floor with a little wooden seating area, which works in harmony with the wooden fence. 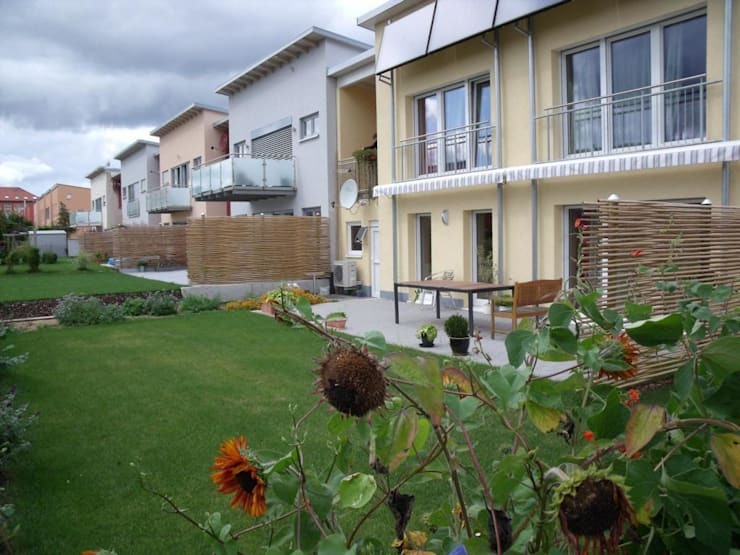 The result: a wonderful and multi-functional place to enjoy the warm days of the year! 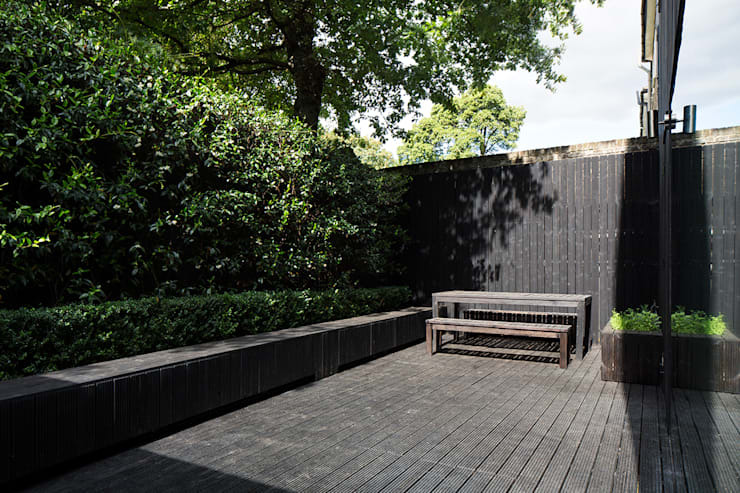 This grid fence is perfect for separating spaces in the garden, while still allowing a little bit of fluidity between them. The great thing about lattice fences is that they come in different shapes and designs. You can even integrate a door or gate into one! This fence looks like it is made of wood, but it is in fact made of metal. This design is particularly suitable for those who are interested in a more natural look of wood, while opting for a more robust material. Especially if you prefer a more rustic design, traditional wooden fences can feature their own individual charm. 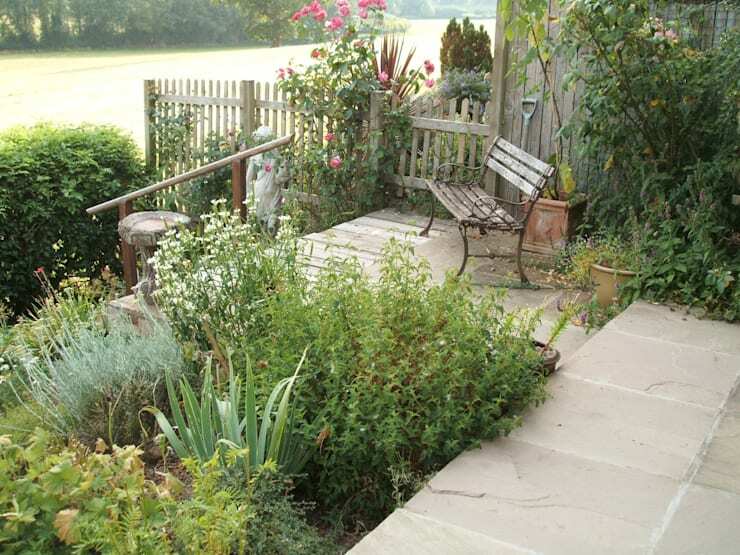 This is the perfect option for creating a secluded little spot with a beautiful border. Decorate with wonderful plants and you have a charming little secret garden. 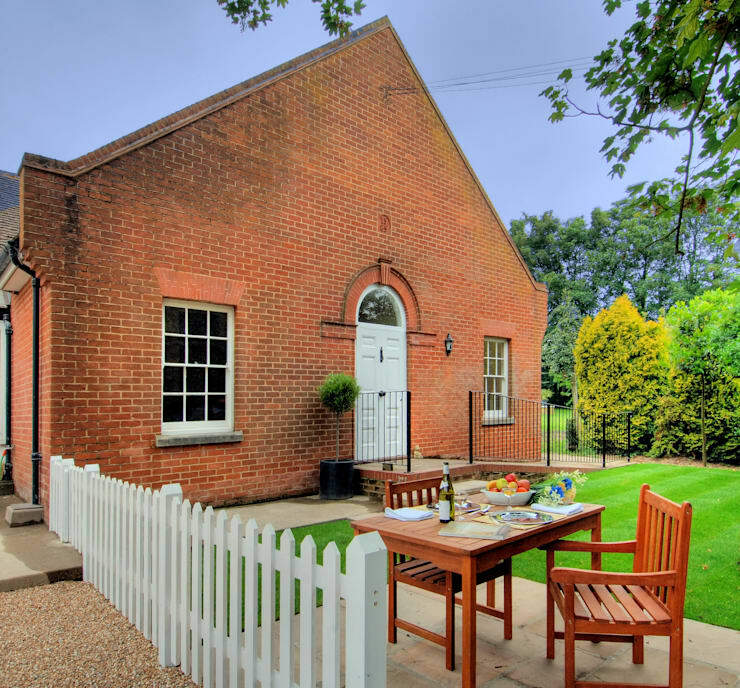 Speaking about a charming design, don't you love this garden with its white picket fence? The natural wood adds a very modern and refreshing touch to the home while the fence is very functional. It's just high enough to keep unwanted visitors or strangers from simply walking into their garden. For the beautification of your garden, there are so many materials available. These can all work in harmony with one another for a stunning overall look and feel. Here we can see how stone has been used in harmony with wooden lattices. This perfectly matches the tiled floors and the comfortable wooden seating area. If you live in the city, you know how important it is to have nature right on your doorstep! In this example, we can see how a small little oasis has been created, equipped with an artificial green wall. Together with the noble wooden floor, this area looks like it is in the country! If you've enjoyed this article, you'll love this one too: 8 snazzy ways to improve your garden privacy. 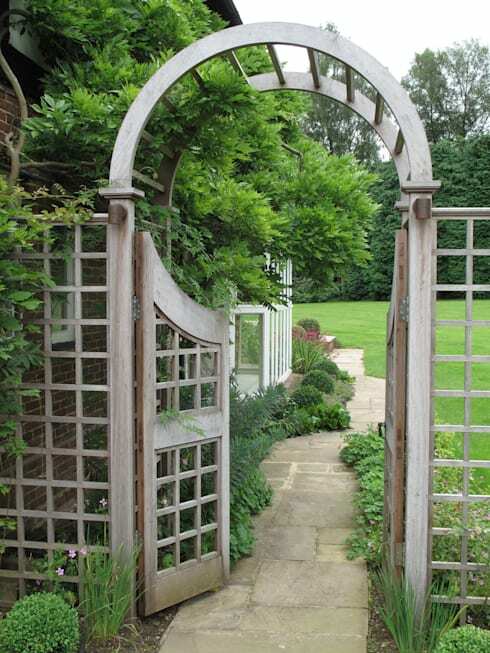 Also have a look at this one: 10 pictures of beautiful and secure garden fences. Which garden fence would you choose for your home?